I came disastrously close to not having anything to share this week. I used up my weekend sewing time on two new projects (these baby blankets) and then I’ve had a sad, sick boy on my hands this week. Thankfully, this morning, he and Ellie decided to play around me happily while I sewed and I was able to finish up two projects. First, I put in the last buttonhole on Ellie’s dress and sewed on the last button (which was thankfully not lost). I couldn’t fit the placket under the buttonhole foot and so hadn’t done it. But then, I was reading the manual (shocking helpful, manuals are) and figured out that I can actually push my presser foot lever UP and it raises the presser foot higher! This is an awesome feature that I wish I had known about for the past five years! Second, I suppose this isn’t technically a WIP finish because it was already finished once. 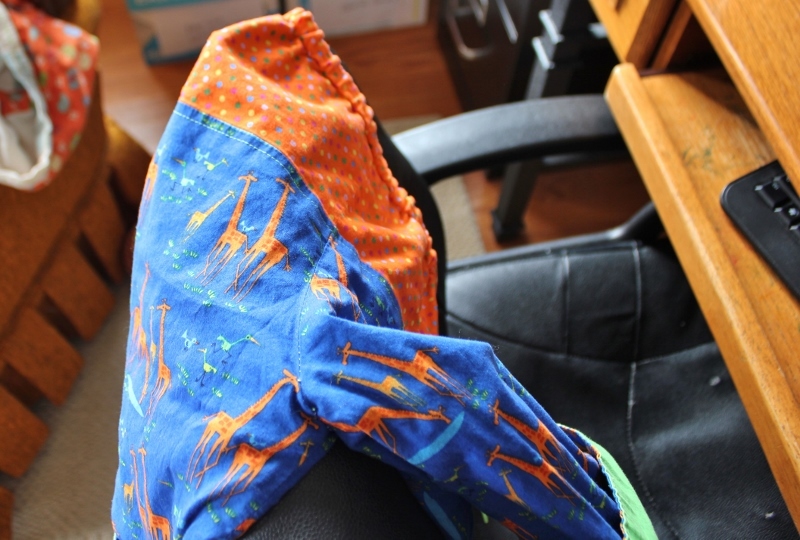 For some reason, the crotch sections of both sides of Mark’s reversible pants were pulling apart. So I had to seam rip one hem, pull them inside out, re-sew both seams, and then re-hem them. And now he can wear these again! 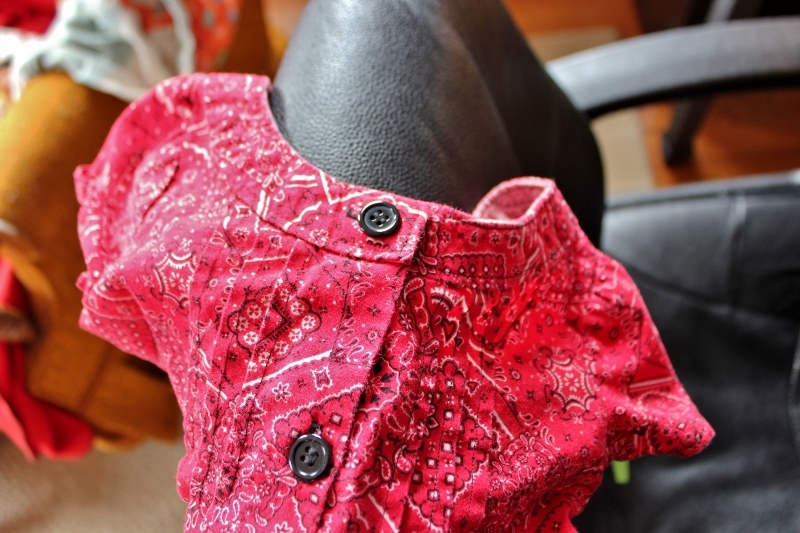 8 Responses to Finish It Up Friday – Update #4 – Finally, The Dress Has Six Buttons! I love souvlaki so I knew I had to visit your blog, and I’m glad I did. That is a darling dress. I really like the fabric you used on both. Two great finishes. Now off to see your cooking labeled posts. Thanks for sharing! Efxaristo, Angie! Welcome to my blog! The dress is adorable! Fabric, buttons, style and all! Please be sure and put a picture on here with Ellie wearing it. 🙂 Say, did I see the # 8 on the bottom of your list?! Thanks Mom! I’ll try to take some more the next time she wears it. Are you talking about hemming my jeans, as #8? They’re a great thrift store find that I’ve been wearing cuffed up for 2 years! It’s about time for me to hem them so I’m going to try an original hem and see how that works. Super work! You are very clever!